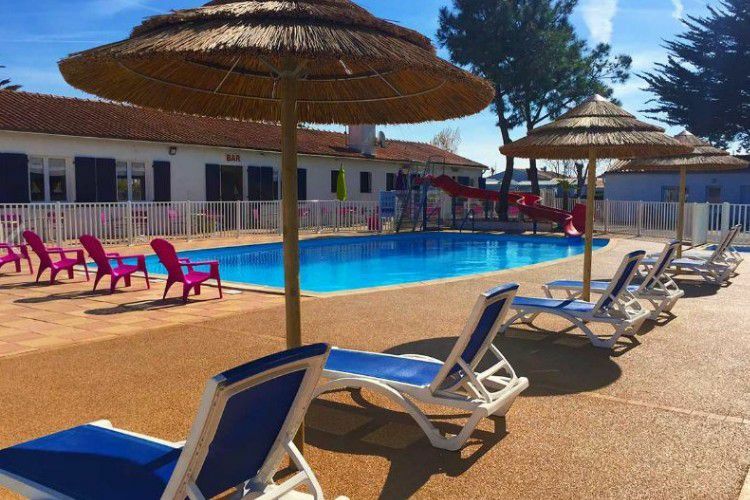 Situated 800m from the beach, the Campsite Les Violettes, in La-Faute-sur-Mer, is in a great location - perfect for unforgettable and peaceful family holidays. 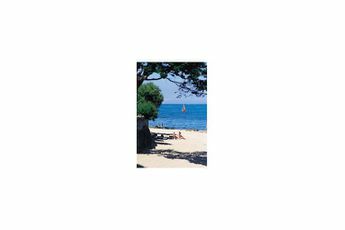 This 4-star campsite can be found 9km (5.6 miles) from La Tranche-sur-Mer, 57km (35.4 miles) from La Rochelle and 79km (49.1 miles) from lIle de Ré. Give yourself a real holiday thanks to Camping Les Violettes! If you fancy a swim under the Vendée sun, the swimming pool is waiting for you. For young and old alike to share memorable moments in a friendly atmosphere, the campsite offers a wide range of activities such as pétanque, table tennis, pool, table football, and bike rental for hours of cycling. A play area is also available, where your children can make new friends. If your stay is during July and August, the kids club welcomes children from 5 to 12 years and offers fun and entertaining activities. In the evening, immerse yourself in a friendly and festive atmosphere with the evening entertainment. 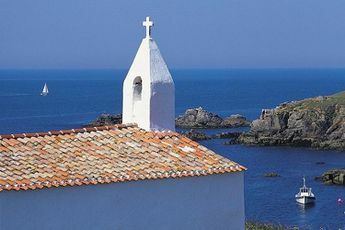 To quench your thirst for discovery, explore your surroundings and discover incredible sites - such as the natural reserve of Aiguillon-sur-Mer, the Tower of Moricq in Angles, the Royal Abbey of Saint-Michel-en-l'Herm, and much more. La Faute sur mer is a little seaside resort in the Pays-de-la-Loire region, situated in the southern part of the Vendée, opposite the Ile de Ré. With 240km (149 miles) of coastline and 140km (87 miles) of sandy beaches, the Vendée takes care to protect its land. A marvellous mosaic of landscapes with many different bodies of water, the south of the Vendée is a land of marshes and hedged farmland in gleaming colours. 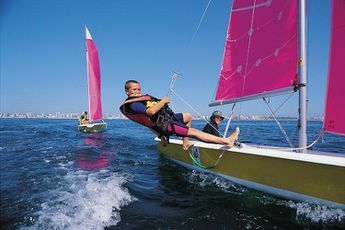 Its surroundings offer lots of opportunities for water sports, thanks to its 13km (8 miles) of coast, and a 6-hectare lake. and enjoy the calm, invigorating atmosphere while walking among the dunes. The regions footpaths also allow horse riding and cycling as well as walking, thanks to its 18km (11 miles) of cycle paths. As a family, you would appreciate a boat trip to the île de Ré, île dAix, or île dYeux, with a detour around the famous Fort Boyard. At Les Sables dOlonne, those curious should stop by the zoo. At La Rochelle, young and old alike can marvel at the grand Aquarium while those who love new experiences will be in their element at the Puy du Fou. In all, the salt marshes and the Marais Poitevin will ensure that your getaway is unforgettable and magical.